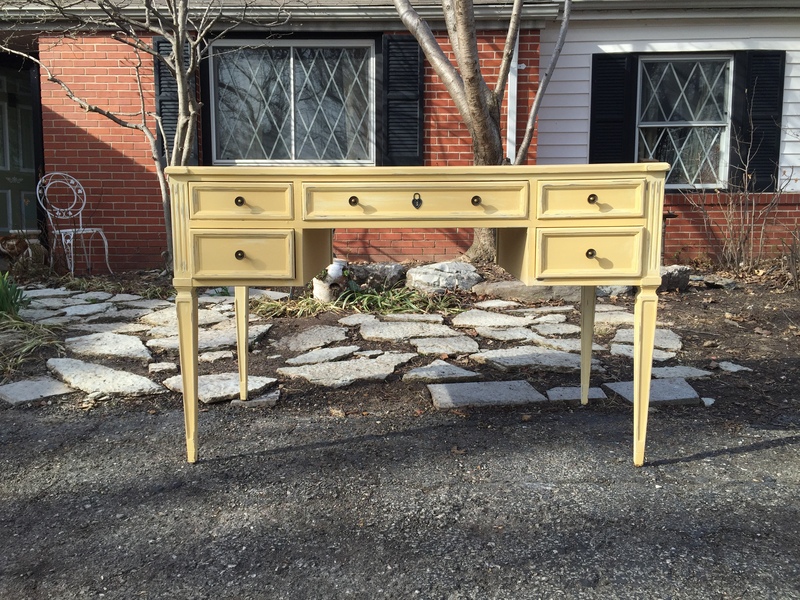 Here is a desk I painted with Benjamin Moore’s Beeswax. It is a nice soft yellow. I also distressed it in many places. 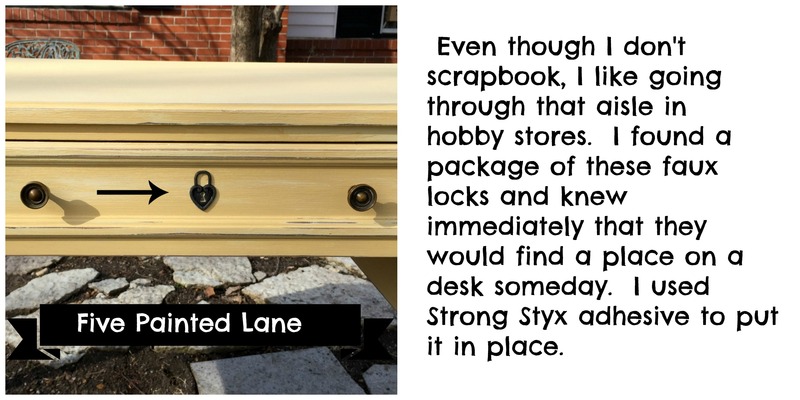 Since I had been using this same color on another desk and other pieces I wanted to add something extra special to this desk. 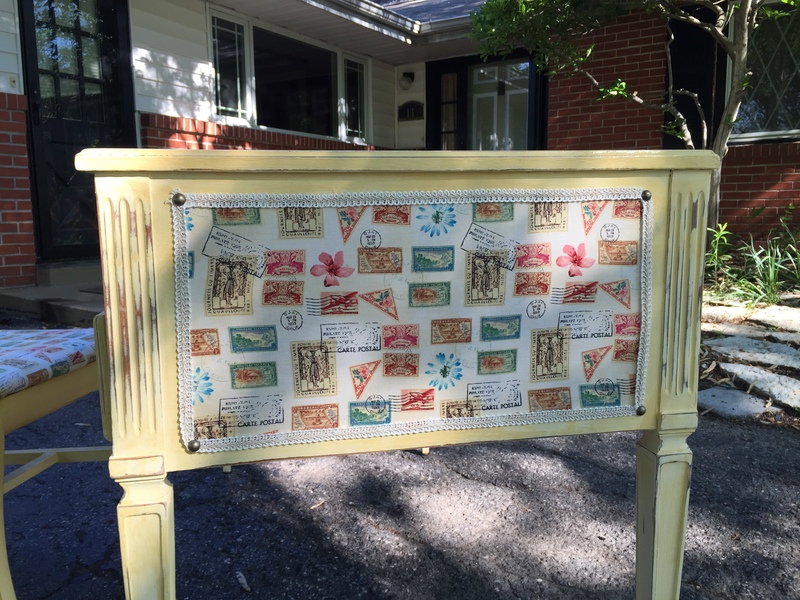 I found a fabric I liked and used Mod Podge to apply it to the drawer fronts and side panels. 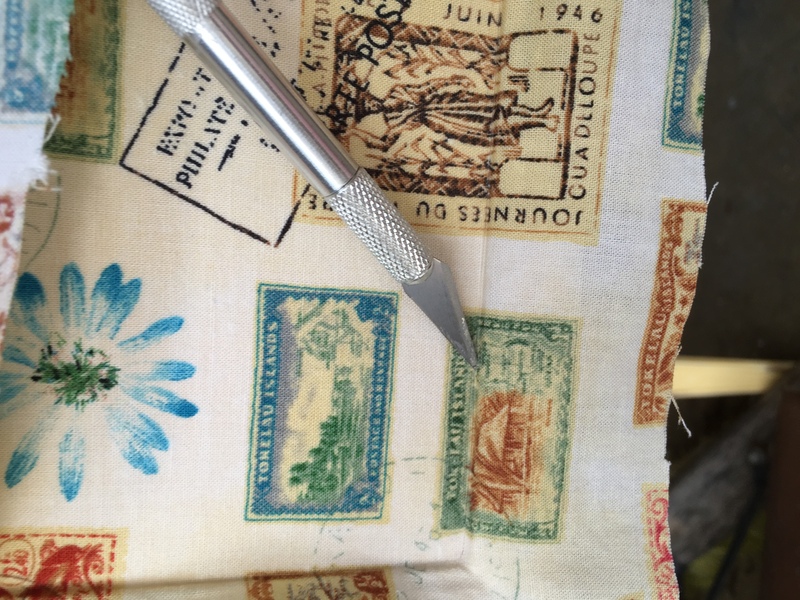 To place the fabric smoothly I used this special tool. An expired Triple A card. No worries if you don’t have one I am sure you have something similar. This handy dandy blade trims the edges perfectly close. 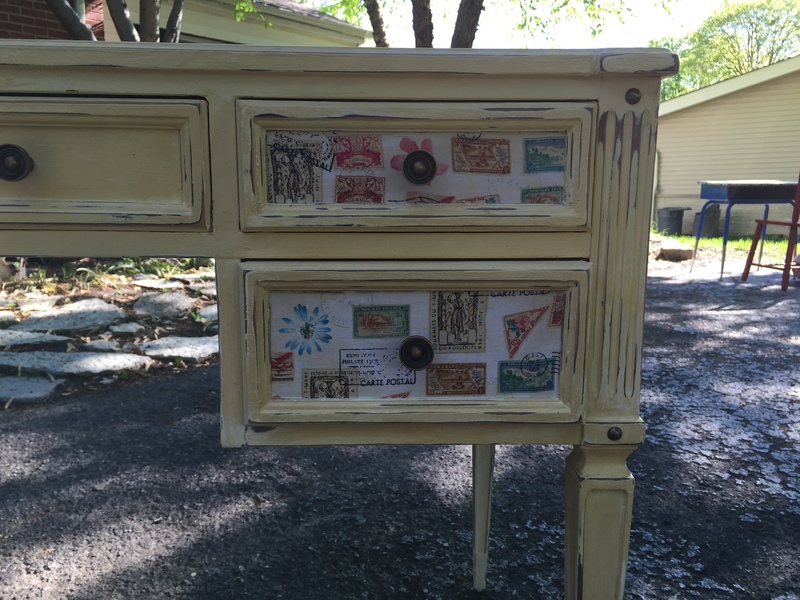 I put the fabric on the sides and then I chose a cream colored fancy trim and affixed it with adhesive. The next step was to add a upholstery nail to the corners. 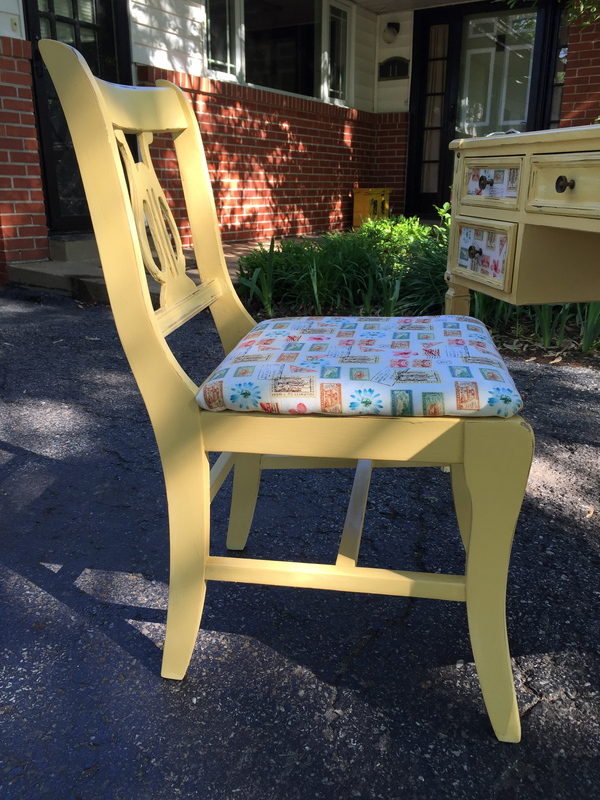 I painted a chair the same yellow and covered the seat with the same fabric. 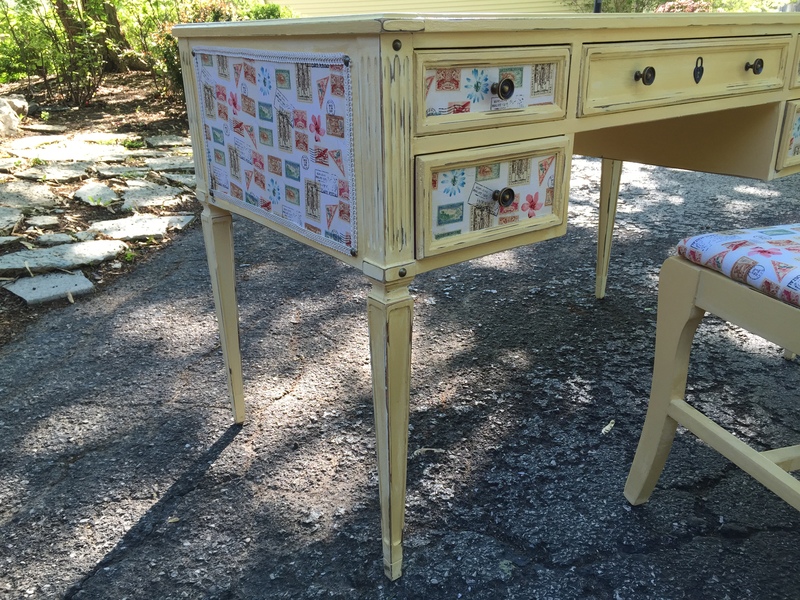 And the finished result is super girly pretty desk.